A gallery with an interesting name: 1AM (short for “first amendment”, actually), will host a group exhibition titled “Inamorata”. The show will feature works of eleven domestic and foreign artists dedicated to the femme fatale. 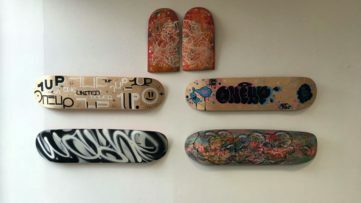 The gallery will display all new works by included participants, as well as a custom mural by some of the artists on the exterior of the gallery. The meaning of the word ‘Inamorata’ (Italian: innamorata, in love) is a woman with whom one is in love. Throughout art, sometimes it’s been used as another term for muse, a lover or simply a female figure who inspired the artist to create. The curator Amandalynn, who is taking part in the show together with Hueman, Lady Mags, Helice Wen, Joshua Lawyer, Melanie Alves, Houston Berry, Monty Guy, Jet Martinez, Vans the Omega and Annica Lydenberg, contribute their own views on love and that magical state of mind when we’re in it. 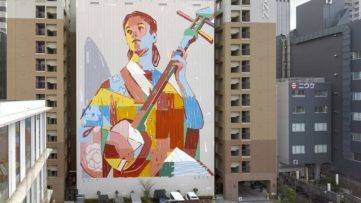 These distinctive and talented artists offer visual definitions of passion and even lust, through a variety of mediums, including murals, graffiti, sketching and paintings. Their seductive illustrations mixed with emotion and abstraction depict that feeling of drunkness and lack of all power under the command of love, the sense of freedom in all its forms and shapes. 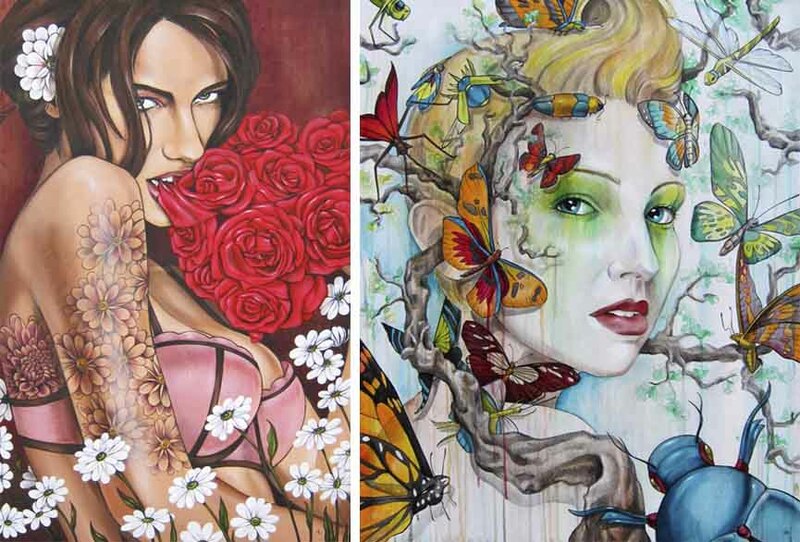 Amandalynn (Amanda Lynn) is a fine artist whose artworks and murals often show strong, alluring women. With graffiti artist Lady Mags, she formed a duo called Alynn-Mags. 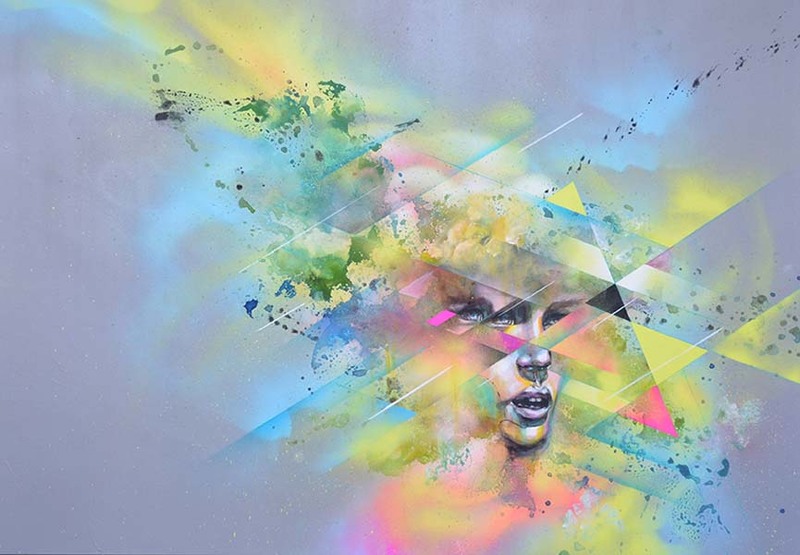 Hueman is another female artist, who spray-paints either canvases or massive walls, covering them in abstraction and figurative art. Helice Wen is a Chinese-born, California-based illustrator and painter. Her work is a marvelous combination of her two sides of life. Melanie Alves does sculpture and painting, and her art focuses on current social and cultural issues. 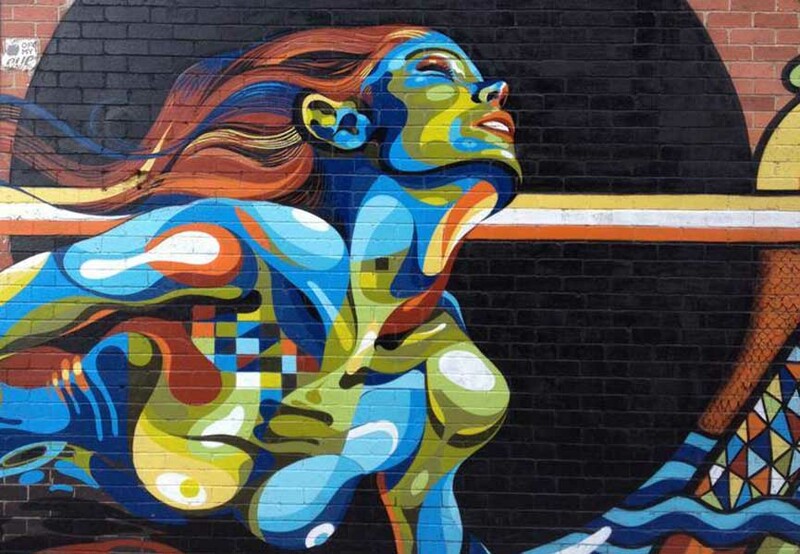 The street art of Joshua Lawyer is always looking to tell a story of females, through color and the shape of their bodies. Annica Lydenberg is an artist interested in typography, illustration and graphic design, whose paintings evoke printing trends. Vans the Omega is an extraordinary street artist, whose letterforms graffiti decorate the walls of Australia. He is also a furniture designer, and it’s as cool as it sounds. The Inamorata exhibition opens on February 5th at 1AM Gallery in San Francisco, USA. 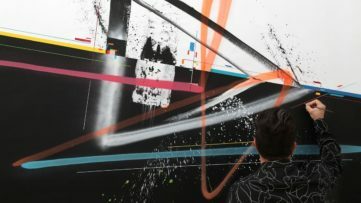 Read more about 1AM Gallery and the exhibition currently held there, titled 1AM Revolution. 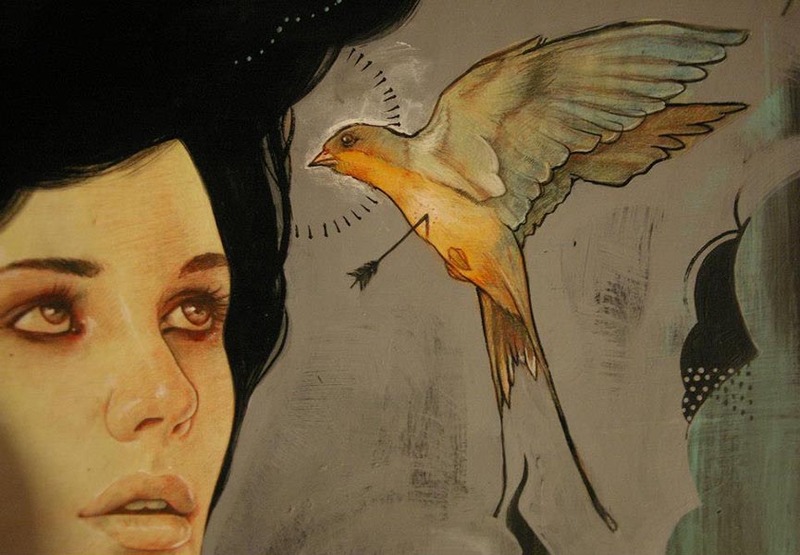 Sign up for My WideWalls and enjoy the world of street art the right way.